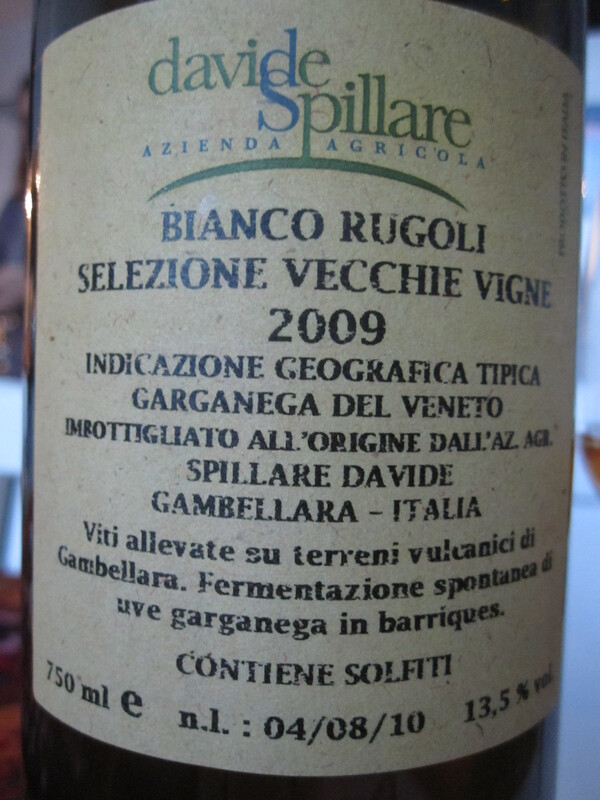 You might remember my brief mention of Davide Spillare in my VinNatur 2011 – producers to keep on eye on, blog entry. Davide’s Azienda Agricola covers about 2 ha in Gambellara, in the province of Vicenza. Davide works naturally both in the vineyards and in the winery, being shown the way by his teacher and mentor, Angiolino Maule. 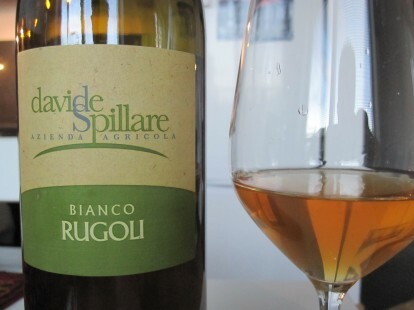 He works mainly with the indigenous Garganega grape, and ferments all of his wines spontaneously without any additions, except a little sulfur in his whites. The Bianco Rugoli is made up of 90% Garganega (grown on volcanic soil) and 10% Trebbiano. After manual harvest and crush, maceration with the skins lasts 18-24 hours giving this wine it’s gorgeous glow. It is then pressed and transferred to used barriques for about 10 months for fermentation. It then spends some time in steel and is bottled without fining or filtering with just a bit of sulfur. Nose: slightly jammy orange peel with hints of brown honey. very clear high intensity fruit. Some hints of herbs like sage and thyme. There are some aromas that could only be described as roasted lamb w rosemary. Ripe golden gooseberries. alcohol shows on the nose. With 15 minutes in the glass, a smoky minerality begins to emerge blending nicely with the fruit. 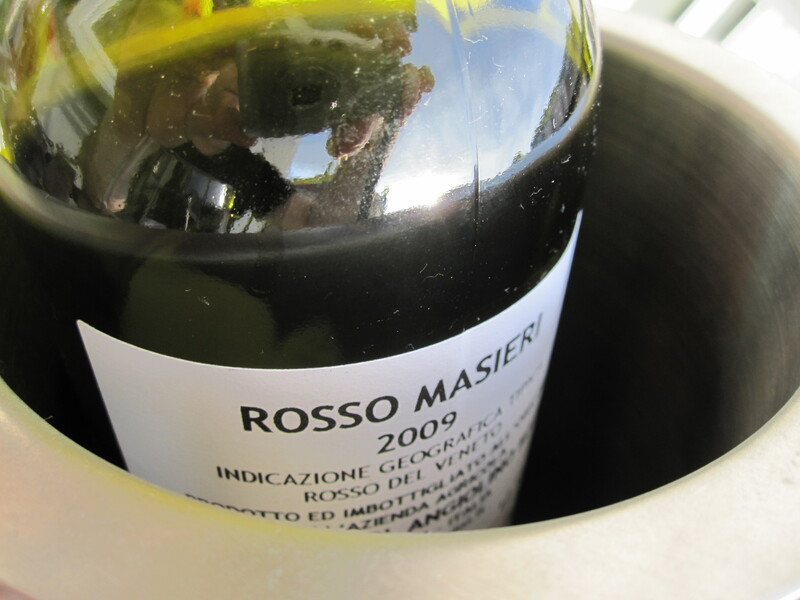 Showing also some hints of very ripe fruit, perhaps some grapes being overripe – in a good way. Palate: spicy, fruity and dry on the palate with good acid and tingling alcohol, which begins to integrate as the wine warms. Very mild tannins with a slight bitter aftertaste. As time passes, the wine seems to become increasingly refreshing, even though the alcohol is my only lament, as it very slightly stings the tongue. Not enough to put the wine way out of balance, however. Young..
Glug Glug wine at it’s finest!! Drink up or keep a few years to allow the alcohol to fully integrate. I am sure that each and every one of you has tasted a Prosecco. That fruity and light sparkler, ranging from almost dry to slightly sweet (up to 35g/l of sugar even). You know, the one you have tasted but kind of forgotten about? 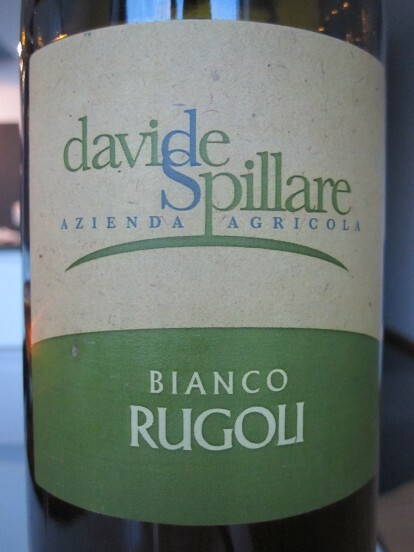 Over 150 million bottles (& over 5000 producers) are produced annually of this inexpensive sparkler in the North Eastern part of Italy in the wine region of the Veneto. Most of it is mass-produced wine that is (re)fermented in big stainless-steel tanks then bottled under pressure to maintain the bubbles. Much of it is produced with grapes other than the Prosecco grape in purity (only 85% of the Prosecco grape is required to satisfy the DOC, now DOCG requirements). The Prosecco grape is a white grape that grows in small clusters and thrives in the calcium-rich soil typical for the region. All Prosecco’s are fermented a second time, to create the bubbles. Most in pressurized steel tanks and bottled under pressure (the Charmant method). Prosecco’s can be vinified totally dry (uncommon) or left with some residual sugar (the more common version). Almost all Prosecco’s are filtered to remove sediment, but some are left “sur lees” and sold that way. Some Prosecco’s are even vintage. I have never really appreciated Prosecco. I had always considered it that cheap alternative sparkler that I never really paid much attention to. In fact, I never really cared to pay attention to it. Until last year when I had a revelation in the form of Silvano Follador’s Cartizze. I was invited to the taste some wines at the house of a local importer of “real” wines one Sunday afternoon in the summer of 2009. 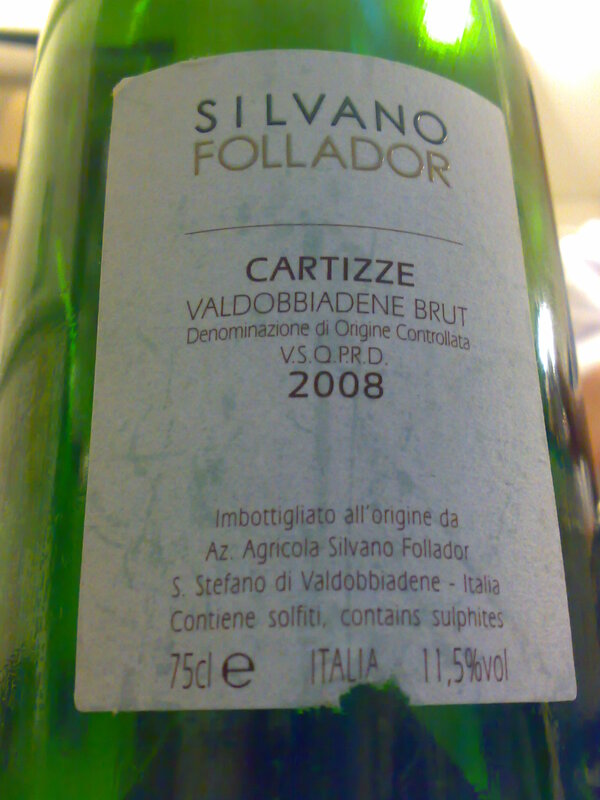 The first wine this importer wanted to let me taste was a bottle of Prosecco from the top vineyards of Cartizze. I wasn’t that enthusiastic, let’s be honest, a Prosecco? Is this why you invited me over here? But, being passionate about wine, I would taste just about anything because that’s what I do, right? He poured me a glass. Nice mousse and a typical light, slightly pear-like, stony color. As I raised the glass to my nose aromas of yellow apples, very crisp pears, grapefruit, lemon & lime hit my nose with a supporting back bone of minerality. Ok, the crisp pear aromas were expected, but the other fruits and especially that mineral component were not. I can remember being a bit caught off guard, but I still wasn’t expecting much once I tasted the wine. As I took my first sip, the first thing that surprised me was the sudden weakening in my knees when my brain got the message that this was no ordinary Prosecco. It was super-structured and completely dry. It had essences of lemons, pears and yellow apples, but was not at all sweet as I had expected. There was a super-long mineral finish with slightly yeasty notes of autolysis (those notes we get on Champagnes!) This almost literally floored me! What?! What the hell was I drinking? It was that summer day in 2009 that I will remember, that day when my love affair with a real Prosecco began – Silvano Follador. A small family owned vineyard inherited in 1999 by brother Silvano and sister Alberta in the quaint area of Follo in the outskirts of Valdobbiadene. Silvano feels closer to the heart and sentiment of their grandparents , who knew little about sulfur dioxide, acidity and PH, but knew every plant in their vineyard almost like the back of their hand. Silvano spends 80% of his time in the vineyards. They use organic and biodynamic principles in the vineyards, and they produce only 4 wines, approximately 30,000 bottles. 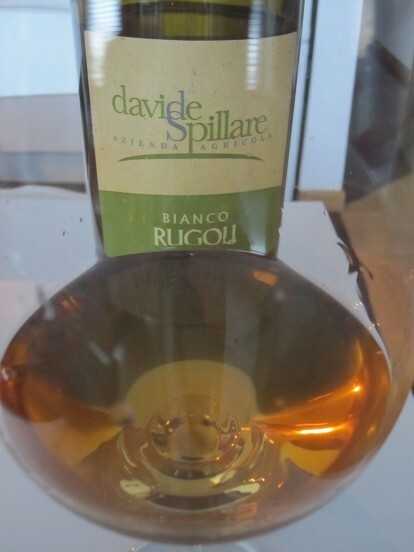 The top wine from the vineyards of Cartizze (3.4 grams of sugar in the 2008 and 6,600 bottles produced – the wine I tasted here), a Brut (3,4 grams of sugar in the 2008) , a Passito made from the grapes from their Cartizze vineyard (the 2005 had 300 grams of sugar! 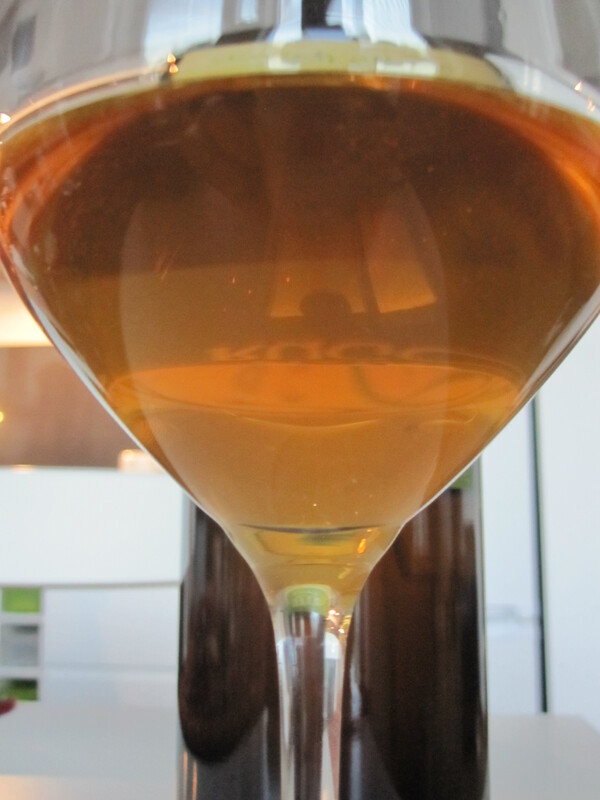 ), and very recently a bottle-fermented (think Champagne here) Cartizze. Silvano hopes to stop using the Charmant method all together someday, and has been already trying to remedy the “coldness” of the Charmant method by leaving the wines in contact with the lees for 8 or 9 months with very little racking and carrying out secondary fermentation at 3/4 months (one reason why their sugar levels are so low). All of their wines are made with 100% Prosecco grapes, express purity of fruit and are so well-balanced that you just keep coming back for more. Although great as an aperitif, the wines of Follador have enough “body” to also be enjoyed with food like tapas, Italian salumi (salame, prosciutto, etc), white fish, sushi & sashimi. *Available in Norway through the special ordering range at the Vinmonopolet by providing details about producer and importer. Angiolino Maule owns 11 hectares (& rents 2ha more) of vineyards on volcanic soil between the provinces of Vicenza and Verona, an extension of the Soave foothills in the Veneto, in North Eastern Italy. The Veneto is a region traditionally famous for the Soave white wines and the dark, rich and typically hugely alcoholic Amarone della Valpolicella wines. 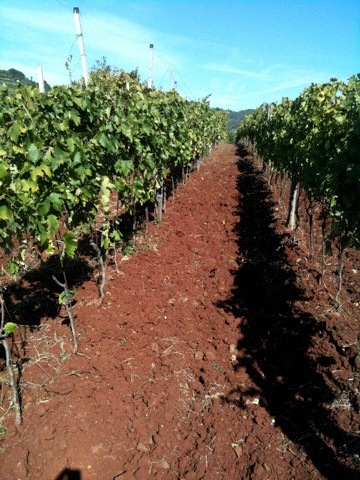 But Angiolino is traditional in another way, working the vineyards as naturally as possible without the use of any synthetic or chemical additives, industrial fertilizers or any other artificial soil treatments. Rather, he practices biodynamics and uses only natural preparations in the vineyards.